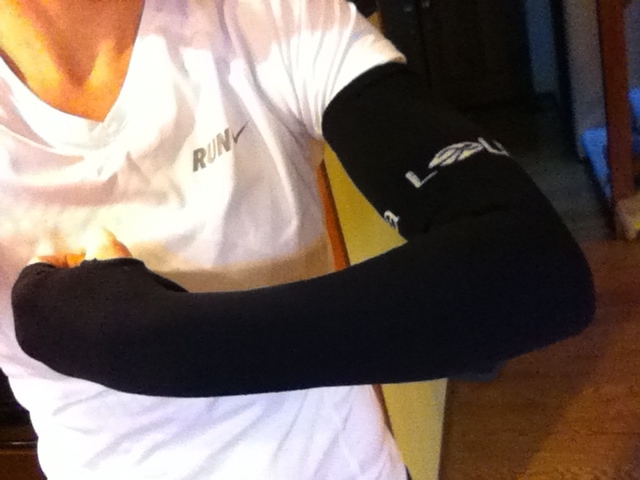 I read about these arm warmers in Runner’s World. 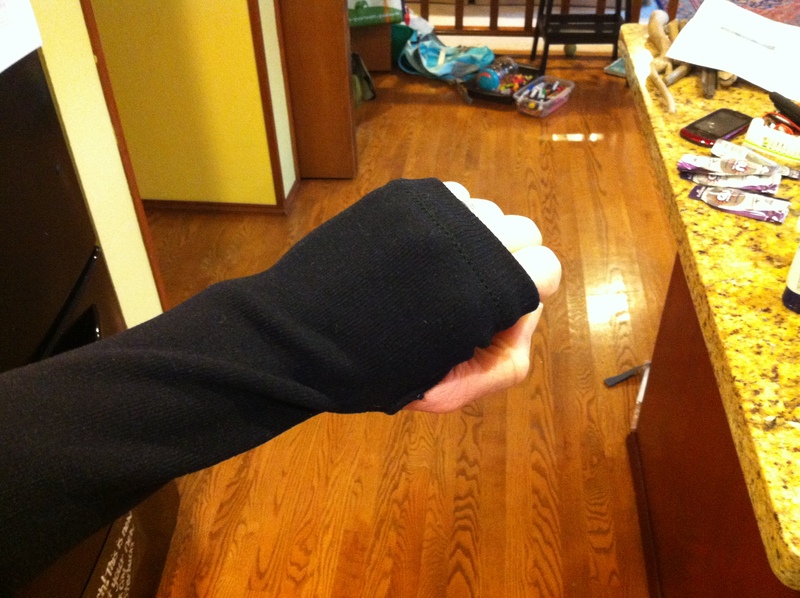 The company, Louva Gear, was started largely out of frustration for how expensive little sleeves you wear on your arms can be! I have another pair – yet between on affordable these are, from what I had read about how soft they are, and how they have thumb holes – I wanted to try them. And I am so glad I did! I LOVE them!! :) They are softer and warmer than my other pair. If it’s a really chilly morning in Eugene next Sunday (AH!!!) I’ll wear these for the first few miles. THIS has become my routine on long run mornings. 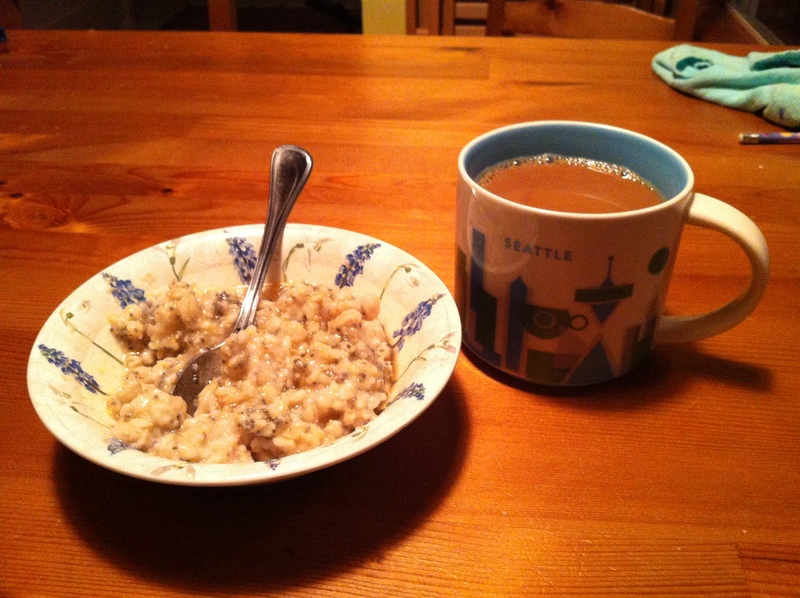 I had tried eggs for a while, but oatmeal does my tummy a lot better. And of course my big mug of coffee :) I also have a banana with peanut butter and then a Gu shortly before I start. I try to eat 1+ hours before my run. On race day I’ll do about 90 min before. My newest compress socks. 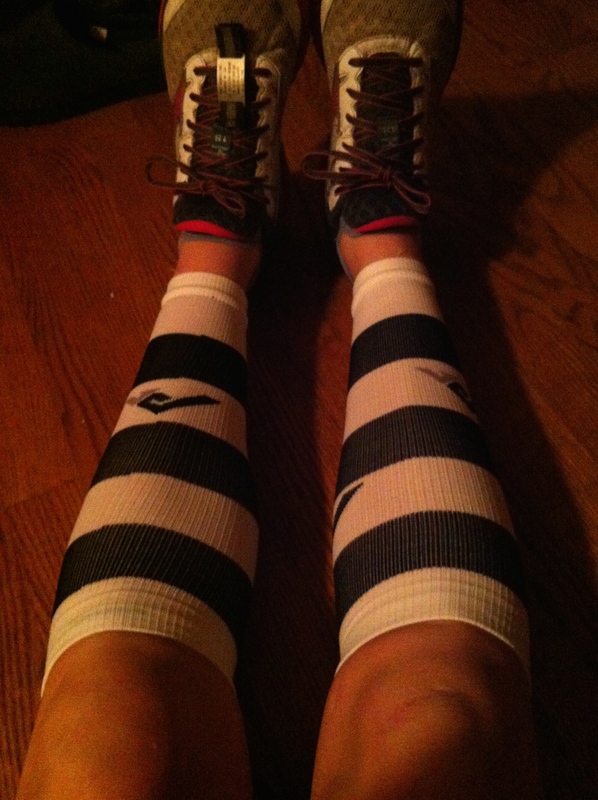 My zebras :) I needed a new pair of compression sleeves and these stripes were 40% off … so of course I opted for the cheapest pair! If it’s cold on race day, I will be wearing these for sure! 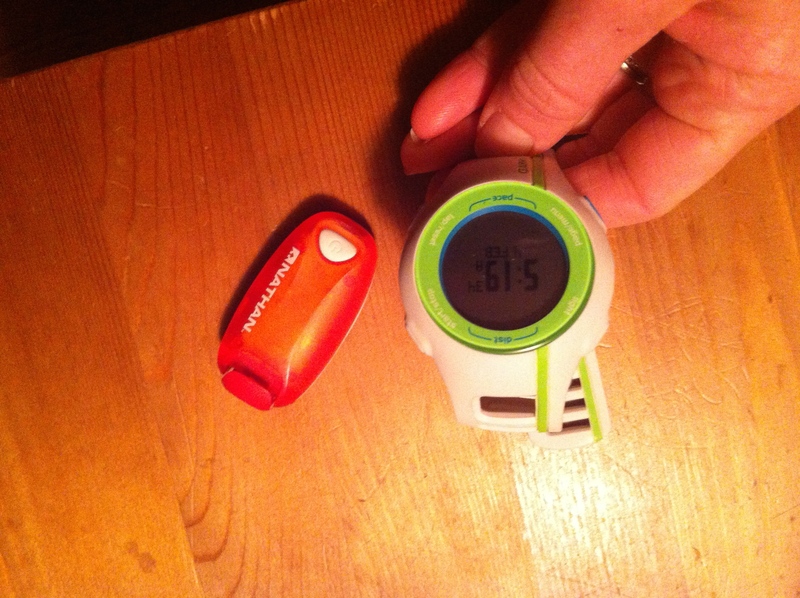 My 2 morning companions :) My Garmin (yes I am a type A runner – but I do not look at my pace constantly – I keep track of my miles and mile splits – not constantly checking my pace) and my Nathan safety light. I have never felt the need for a flash light for me to see – but I do want cars and other people to SEE ME. So I wear this bright flashing light clipped on my waist band. 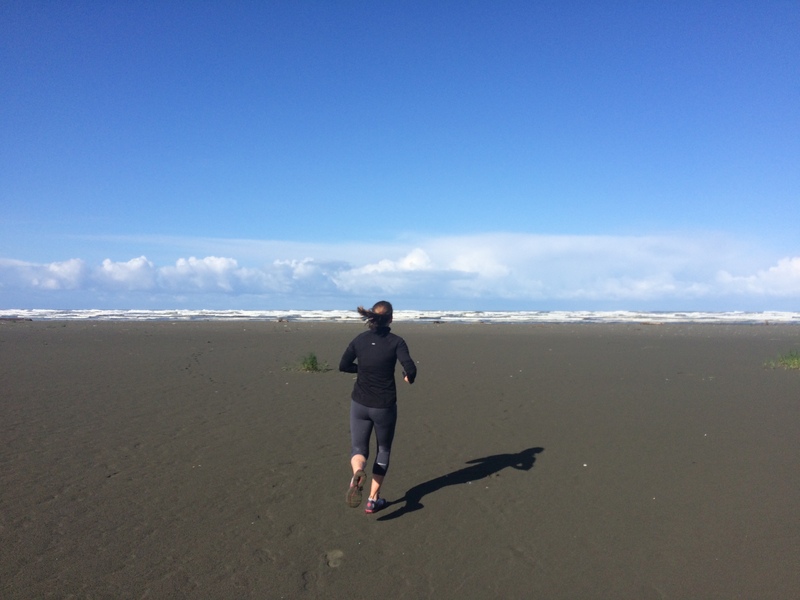 And just for fun … when we were at the coast a few weeks ago, my husband joined me on his bike and then running for a bit of my run. He snapped this picture as we headed out onto the beach that first morning. The sight, sound and smells of the ocean were so invigorating!